Renovate your Austin TX Swimming Pool with a Spa! There’s no doubt that having your own swimming pool to come home to every day is a luxury that you’ll enjoy day in and day out throughout the year. 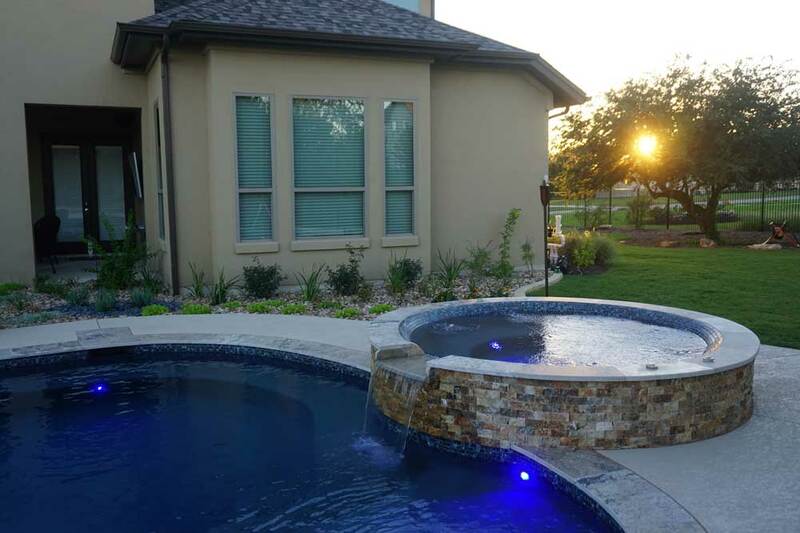 Whether you’re looking to relax in your pool after a long day at work, cool off during a particularly hot day, or to enjoy some fun in the sun with friends and family, a swimming pool installed by Austin swimming pool builders is a welcomed addition to any home. But you can maximize the enjoyment and luxury factor of your pool by incorporating a spa along with it! Spas are wonderful components to any backyard that can offer a source of relaxation, entertainment, and even some hydrotherapy when a little tension in the muscles is required. While you can always add a spa to any part of your property, attaching one adjacent to your pool can really create the ultimate recreational experience in your backyard. Why Add a Spa to Your Swimming Pool Renovation? Swimming pools installed by Austin swimming pool builders are wonderful for getting some exercise, cooling off, and having some fun. But a spa adds another element to the backyard recreational experience by offering a cozy spot to just chill out. By having these two components side-to-side or attached to one another, you can effectively hop from one to the next without having to leave the comfort of the water. Parents with children will also find an attached spa convenient. While their children are splashing around in the pool, parents can sit back and enjoy the bubbling waters of the spa while they supervise their children. A spa can be a fantastic addition to any backyard oasis and should be considered when your swimming pool is under renovation. If you’re considering having a spa installed in your backyard to complement your swimming pool, contact your Austin swimming pool builders!